California Governor Jerry Brown (D) said on Wednesday that climate change was a major source of the wildfires that have ravaged California over the last week, while Interior Secretary Ryan Zinke, who is visiting the state, said it's not the time to "point fingers," admitting that rising temperatures was one of several contributing factors, the Associated Press reports. Why it matters: President Trump has repeatedly pointed to "poor" forest management from the state of California as a cause of the fires, and has threatened to pull federal funding, despite scientific experts citing climate change as a major factor of the fires. 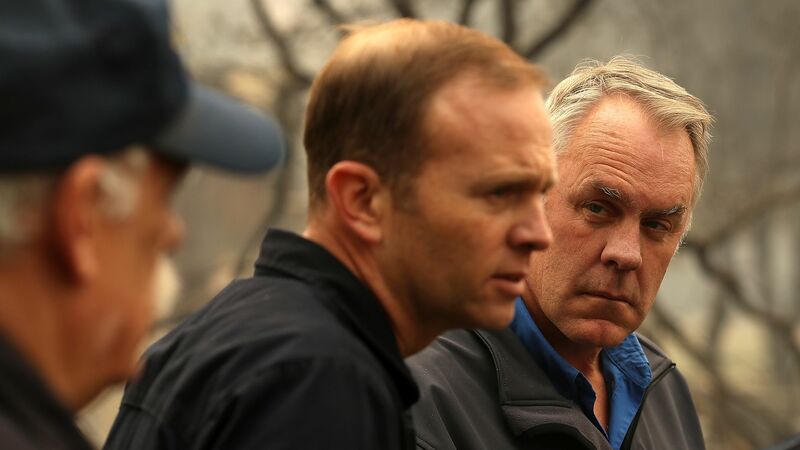 Meanwhile, Zinke has previously expressed doubts about climate change and has questioned whether human emissions of greenhouse gases account for the bulk of global warming.